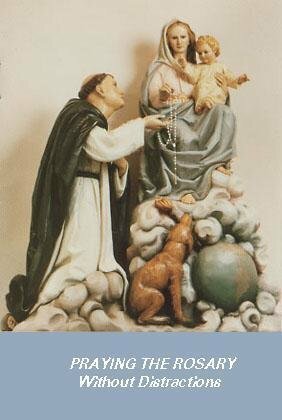 This booklet of 52 pages is especially for those whose mind wanders during the Rosary. It explains how to pray the Rosary, and contains a brief point of reflection for each Hail Mary, and a full page picture in color of each of the 20 mysteries. Also contains information on the Rosary Confraternity. 52 pages, 4" x 6". This is a Rosary Confraternity favorite, and one of our best sellers ever. This catalog item is for a one hundred-pack of these booklets. Save $120 off the regular price!